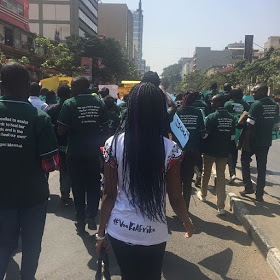 Kenya’s beautiful queen of rap Stella Mwangi commonly known by her stage name as STL yesterday joined other thousands of environmentalists who horded the streets of Nairobi to celebrate the legendary Nobel peace prize winner Wangari Maathai. 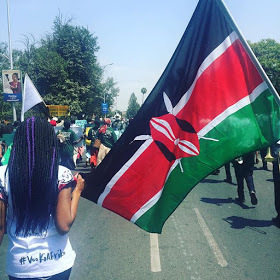 The celebrations will be annually and they are aimed at teaching the young generation the good work Maathai did in preserving the environment. This year’s theme is climate change. 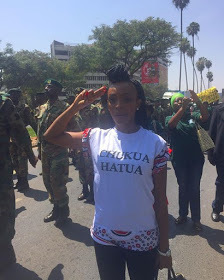 The iconic rapper was among the participants who literary shut down Nairobi’s CBD as they matched through the city streets as part of her latest campaign, #chukuaHatua.